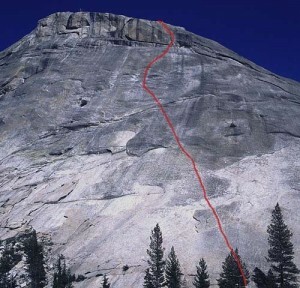 The left-most route starts with climbing past a tan-camo bolt 15 feet up. The crux is just after the bolt, and the climbing gets easier above, with horizontal cracks for pro and a bolted anchor. Two ropes required for the 160’ rap. Which SuperTopo guidebooks include a topo for Udder Chaos?